Everyone remember Laura and Billy, the adorable couple we introduced you to last week who are the winners of a free 4 week wedding from CreativeLive? Well we’re down to just three weeks until the big day, and the plans are really coming together! The dress has been chosen, the flowers are being ordered, and cakes and catering are being tasted, but the biggest accomplishment of the last week has been, without a doubt, finding the perfect location. With a desire to have a blank slate to work with, as well as a love of combining rustic details with luxurious design, Laura, Billy and designer Daniela Faget from Bella Signature Design were thrilled when the historic industrial warehouse (currently home to the amazing, organic, Theo Chocolate factory! Yum!) was offered up as an option. This venue regularly hosts events in need of lots and lots of space, but never have they hosted a wedding before. This is a first! The rugged brick walls fit in perfectly with the wedding’s chosen bronze, copper and metallic color palette and will give a fabulous backdrop to the bursts of rich cobalt blue draping that will frame the window and create an altar area. Sparkling vintage chandeliers will hang from the ceiling to center the space, and gold chairs with blue satin accents will help to brighten up the space. Beautiful! I can’t wait to see how the rest of the reception set up will take shape. Ideas I’ve heard Laura and Daniela toss around: long family style dining tables, textured ivory floral arrangements, gold Chiavari chairs, twinkling candle light, and of course, a fabulous Theo Chocolate dessert buffet! Decide on the visual style you’re going for before choosing a location, so you don’t end up spending extra money fighting the venue’s existing decor scheme. Be careful with spaces much larger than what you need. Decorating large unused areas can be quite costly. Ask about the time frame of when the space is available so you can plan accordingly. Can you get in the day before to set up? How long will you have to break down and clean up the space afterward? Venues with in-house catering can be great because they really know the venue and it’s possibilities. On the other hand, if you’re a real foodie and you have your heart set on a specific caterer, be sure your location will allow for outside food and drink. To follow along with all the wedding planning details for Laura and Billy, check back here for another update next week, and tune in every Monday for a live discussion from the CreativeLive Studios with Laura, Daniela, Jasmine and myself all about how the wedding planning is going! You can even join a chat room to ask us questions or Tweet them in using the hashtag #4weekwedding. Yesterday’s discussion about the venue and design, bridesmaid’s dresses and color palette is available here on the CreativeLive/Jasmine Star course page, just scroll down to the “FREE Bonus: Designing a Fabulous Wedding in 4 Weeks!” video link and take your pick. 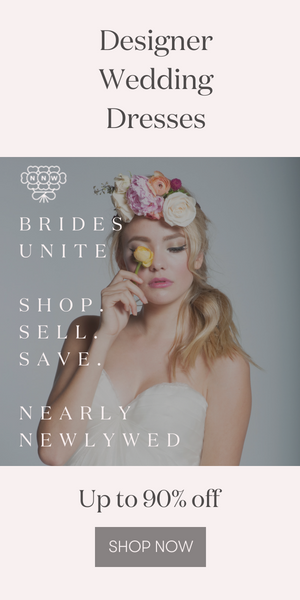 And if you have any products of services you think would be a great fit for this wedding (and to see them promoted to thousands during these planning features and the live wedding broadcast!) write in directly to the wedding planning team at [email protected].